The content of the Jesmond BioScience GesmbH and her affiliated companies Web Site is protected from copying or distribution under national and international copyright laws and treaties throughout the world. You are permitted to access the information and services provided on our Web Site and reproduce extracts by way of printing, downloading, and distribution to other people; however reproduction must be for non-commercial, informational, and personal use only. No reproduction of any part of the Web Site may be sold or distributed for commercial gain nor shall it be modified or incorporated in any other work, publication or Web Site, whether in hard copy or electronic format, including posting to any other Web Site. No other license or right is granted. You may not change any of the notices regarding copyright, trademarks or other marks that may accompany the content. You can install a link to the home page of our Web Site, but you are not allowed to use any of our content in your own Web Site. You may not deep link (i.e. link to any page other than the home page) to our Web Site without our specific written permission. 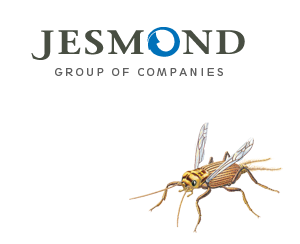 Unless otherwise specified, all registered trademarks used on this Web Site are the property of Jesmond or our business partners. Any use of the information and services provided on our Web Site other than use of information and services described above requires prior written consent by Jesmond. You may not engage in any activities through the Web Site which are unlawful, offensive, or abusive, which violate the rights of third parties, or which inhibit other users from visiting and using this Web Site. You may not monitor or copy content on the Web Site by using any robot, “bot,” spider, crawler, or other automatic devices or manual processes without our written permission, or engage in any activity which interferes with the proper working of the Web Site. You agree to indemnify, defend and hold harmless Jesmond BioScience GesmbH and her affiliated companies from any damages, liabilities and expenses, including reasonable attorneys’ fees, arising from any third party claims resulting from, or arising out of, your use of the Web Site. We reserve the right to terminate your access to the Web Site at any time, without notice, for any reason whatsoever. Jesmond Bioscience GesmbH and her affiliated companies and any of their partners including anyone who helped develop, create, produce, or deliver the content on this site cannot be held liable for any damages related to your use of, or inability to use, the web site, even if advised of the possibility of such damages, unless damage was caused willfully or with gross negligence or unless that liability may not otherwise be lawfully excluded. Information contained on our web site is presented in good faith and to the best of our knowledge for the benefit of the visitor to our web site. Jesmond Bioscience GesmbH and her affiliated companies or their partners cannot assume any liability or risk involved in the use of the information and services provided. No information stated in our web site should be understood as guaranteeing specific properties of the products, technology, permits or services or their suitability for a particular application or purpose. No freedom from patent is implied.